Visit http://hoagys.tripod.com/storytellers.html to see pictures of our visit with a traveling Lone Scout! Stop by one Lone Scouts Page at http://geocities.com/zephyrgoza/. There are currently many Merit Badge Counselors on the Homeschooled Scouts email list who are willing to work with homeschooled scouts. See information below to subscribe. This information is from a fact sheet from National. 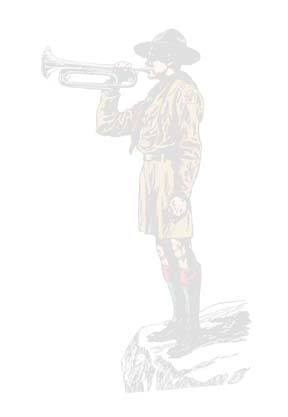 For more information on Lone Scouts, visit www.scouting.org and your local area council. If you have information or web sites that you would like posted for other Lone Scouts, email us at homeschooledscouts@hoagys.com. � 2000-2002 Homeschooled Scouts. All rights reserved. You may not use work on these pages without permission of owner/writer.